There was a faithful woman called Dorcas who lived in Joppa. Dorcas loves to help the needy people. One day, Dorcas fell very ill and she died. The people washed Dorcas’ body and lay it on a bed at the room upstairs. At the time of Dorcas’ death, Peter was at a place named Lydda which is very near to Joppa. When the people heard that Peter was at Joppa, they sent two men to Peter to tell him to hurry up and come quickly to Dorcas so that Peter could bring Dorcas back to life. Peter followed them and they brought him to the room upstairs where Dorcas’ body was laid. Many widows were there crying over the death of Dorcas. 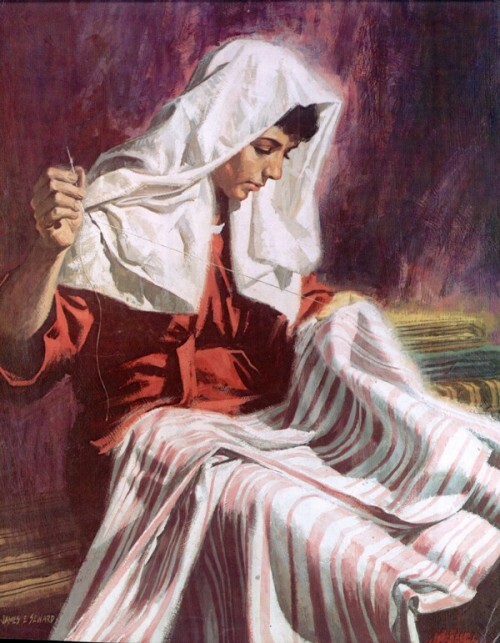 They stood by Peter and showed him all the clothes that Dorcas had made while she was still alive. Peter sent all the people out of the room. At that moment, Dorcas started to breathe again. Her eyes opened. When Dorcas saw Peter, she sat up on the bed. Peter lifted Dorcas up. He called all the widows and the saints and he showed her alive to them. The news that Peter raised Dorcas from the dead was spread throughout Joppa and many people heard about it. They believed in Lord Jesus Christ and accepted Him as their Savior. So Peter stayed there for many days with a man named Simon, the Tanner. Thanks for stopping by. I am glad that you like the site.